As I noted below, the Senate race for the seat formerly held by Ted Kennedy here in Massachusetts is neck and neck. The election is on Tuesday of this week (January 19). 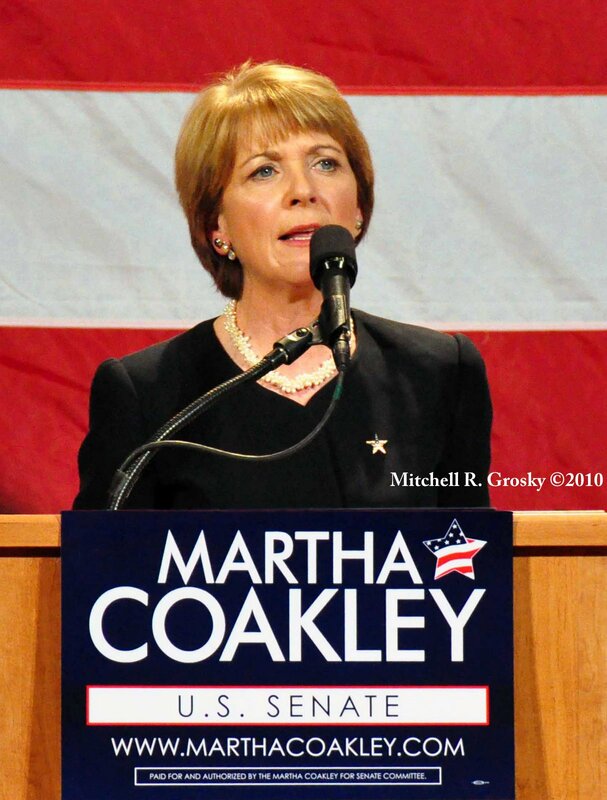 It is Democrat Martha Coakley (currently Attorney General) vs. Republican Scott Brown (currently State Senator) On Friday night I went to a Rally for Martha Coakley which featured former President Bill Clinton, a supporter of Mrs. Coakley. This race has national implications, as Scott Brown has pledged to be the 41st vote in the Senate to kill President Obama’s health care bill. It is expected, as well, to deny the Senate the 60 votes needed to block a filibuster on all of the items on President Obama’s current and future agenda. I am posting three photos here from that rally and many more at my flickr site which can be accessed via the photos and link to the far right of this page. I have also just begun a NEW WordPress blog called “This Week With Mitch Grosky.” This blog will give me the opportunity to reflect and comment on topics ranging from politics, to daily life, to education, to news, to sports and entertainment–and a whole lot more. I am saving my political and editorial comments for that post which you can locate at http://thisweekwithmitchgrosky.wordpress.com.